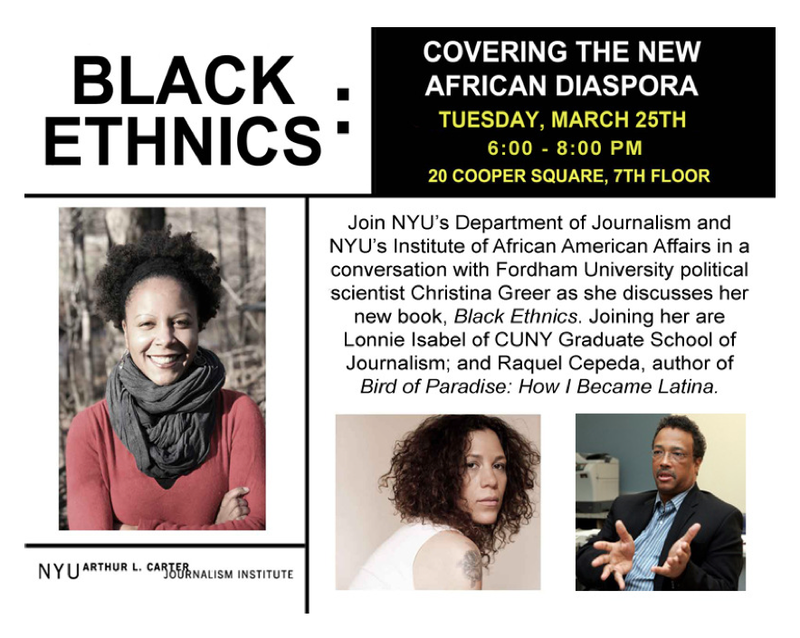 Join NYU’s Department of Journalism and NYU’s Institute of African American Affairs in a conversation with Fordham University political scientist Christina Greer as she discusses her new book, Black Ethnics. Joining her are Lonnie Isabel of CUNY Graduate School of Journalism; and Raquel Cepeda, author of Bird of Paradise: How I Became Latina. Free and open to the public. Space is limited. No RSVP. Seating will be first come, first served.